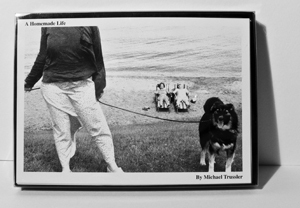 Michael Trussler has published literary criticism, poetry, and fiction. His short story collection, Encounters, won the City of Regina and Book of the Year Awards from the Saskatchewan Book Awards in 2006. His collection of poetry, Accidental Animals, was short-listed for the same awards in 2007. A Homemade Life, an experimental chapbook of photographs and text, was published by JackPine Press in 2009. He was recently interviewed by Contemporary Verse 2. He teaches English at the University of Regina, and was the Editor of Wascana Review from 2002 to 2008.